Having clean carpets adds not only beauty and elegance to a space, they also provide comfort to property owners who know their carpets are clean and safe for anyone who enters their space. Cleaning carpets is not as easy as most people think. Calling in professionals like us is the way to ensure the carpets in your property are cleaned the right way. 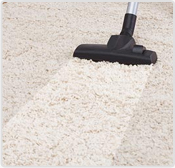 We are trained professionals with the supplies and equipment to give you the cleanest carpets possible. We are proud to offer the most up to date equipment and the safest cleaning products around. Our carpets are not only clean, but safe for pets, children and anyone with allergies once we have cleaned them. We are pleased to be able to offer both commercial and residential Carpet Cleaning in San Ramon, CA. One of our professionally trained carpet cleaners would be happy to come to your property and give an estimate for our services. Most property owners are surprised at the low cost we offer and we can work with just about any budget to get the clean carpets you need at a price you can afford. We offer one time Carpet Cleaning in San Ramon, CA or can also set up a reoccurring carpet cleaning schedule based on your needs. Having clean carpets for a party, overnight guests or for the holidays or cleaning the carpets in your commercial space on a consistent basis are all available from us Do not let dirty carpets get you down. Call us today to get your carpets looking like brand new at a fraction of the cost of replacing your carpets. You can be surprised at how even the dirtiest of carpets can look like new by giving us a call! Do not delay, call us today.